If this isn't a typical couponer's shopping trip, I don't know what is. Dryer sheets and M&M's, clearly the staples of any well rounded household. With freebies becoming few and far between these days, I was thrilled to find that my Target carried the smaller box of Bounce Dryer Sheets at the $1.97 price. 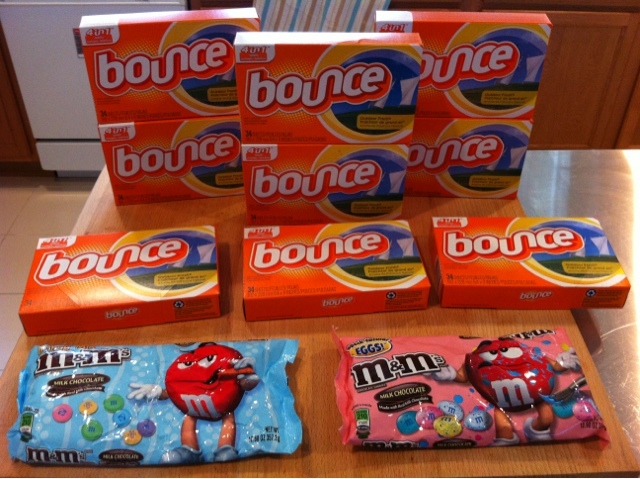 With the $3/3 Target coupon and the $3/3 P&G manufacturer coupons these were all FREE! And really, can a food blogger have too many holiday themed M&M's? I think not. Make sure to come back Thursday for my weekly totals shopping post and link up!